Hello guys, If you are using Spring Boot and getting errors like "Cannot determine embedded database driver class for database type NONE" or "Error creating a bean with name 'dataSource' defined in class path resource ataSourceAutoConfiguration" then you have come to the right place. In this article, we'll examine different scenarios on which this Spring Boot error comes and what you can do to solve them. The general reason for this error is Spring Boot's auto-configuration, which is trying to automatically configure a DataSource for you but doesn't have enough information. It is automatically trying to create an instance of DataSourceAutoConfiguration bean and it's failing. Like other Spring frameworks errors, the stack trace looks quite messy, something which they could have improved with Spring Boot, but the gest is here are these two errors I mentioned above. [INFO] org.springframework.beans.factory.BeanCreationException: Cannot determine embedded database driver class for database type NONE. If you want an embedded database please put a supported one on the classpath. Btw, these errors can be intimidating if you are completely new to Spring framework. In that case, I suggest you go through a comprehensive Spring Boot course like the Learn Spring Boot by Dan Vega on Udemy. Now, let's see some common cause of this error and what you can do to solve this problem. Some of my friends and readers got this error even if they don't need a Database. The main reason they were getting this error was because of starter dependency like some of they have included spring-boot-starter-data-jpa which then included hibernate-entitymanager.jar and they didn't have additional things need to set that up. 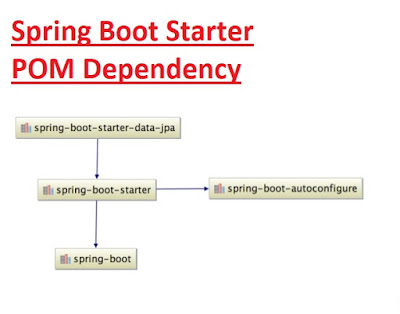 Sometimes including incorrect Starter POM can also solve this problem like adding spring-boot-starter-jdbc instead of spring-boot-starter-data-jpa dependency. If you know, Spring Boot auto-configuration is triggered by JAR dependencies present in the classpath and if it pulls something which you don't need then this type of error can come. In order to solve this error, either you need to include the correct Starter POM dependency or manually add the MySQL JDBC JAR file into the classpath. If you are interested, you can see this tutorial to learn more about how to connect a Java application to a database using a MySQL database in this tutorial. Spring Boot is good at configuring in-memory Databases like H2, HSQLDB, Derby, etc and it can configure them by just adding their JAR files into the classpath but for others, you need to give Spring Boot additional details like URL, DriverClass name, etc. This will provide the Spring Boot auto-configuration component to configure the database for you. 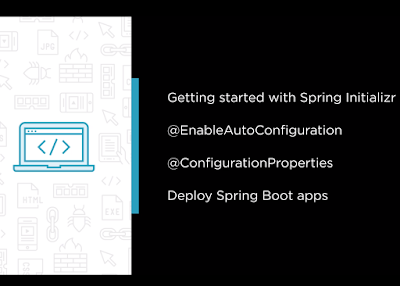 If you want to learn more about how auto-configuration works in Spring Boot, I suggest you go through a comprehensive Spring boot course like Spring Boot: Efficient Development, Configuration, and Deployment course on Pluralsight, which will also teach you the details behind @EnableAutoConfiguration by writing your own auto configurations. That's all about how to solve "Cannot determine embedded database driver class for database type NONE" or "Error creating a bean with name 'dataSource' defined in class path resource DataSourceAutoConfiguration" problem. In most of the cases, it is because of auto-configuration doesn't have enough details require to configure Database but sometimes it's also the accidental trigger of database auto-configuration which can be disabled using exclude attribute of @EnableAutoConfiguration annotation. Thanks for reading this article so far. If you like my explanation and solution of this Spring Boot error then please share with your friends and colleagues. If you have any questions or feedback then please drop a note. P. S. - If you are interested in learning Spring Boot but looking for a free course to start with then I suggest you check the Introducing Spring Boot course on Udemy to kick start your journey into the beautiful world of Spring.